Photo By John & Nancy Hellerman of Goodwin Creek Farm & Bakery : Strong thunderstorms with intense lightning moved through the area Wednesday afternoon just after 5PM. 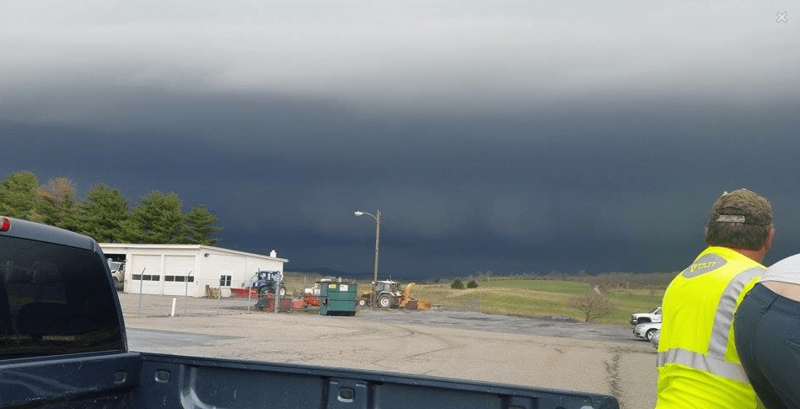 This picture was in Afton of Nelson County on April 8, 2015. 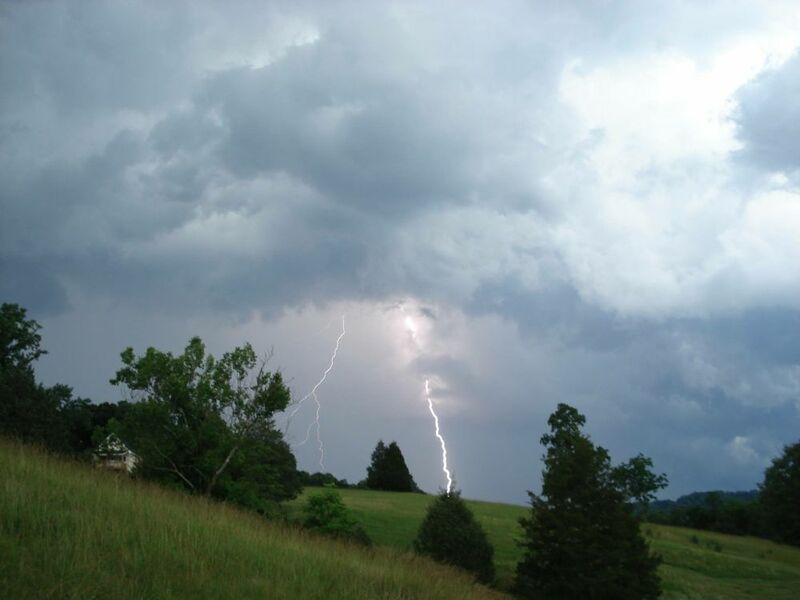 The first thunderstorms of the Spring season rolled through Wednesday afternoon. Generally speaking rain anounts were between 1/3′ to 1/2″, but the lightning was pretty intense for sure! There’s another chance for thunderstorms on Friday (some southern counties may see Thursday as well) with low 80’s possible as well.